Music Solutions, one of Ireland’s top bespoke music entertainment companies, is a one-stop shop for production and event management. 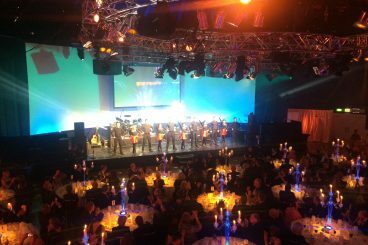 We tailor events of all sizes to suit your exact specifications, supplying a full range of top-class talent – performers, musicians, MCs, celebrity guests and after-dinner speakers. With more than 10 years in the business, Music Solutions has vast experience of organising entertainment of all sorts for events large and small, from O2 Arena concerts to company parties. Whatever your event, we know its importance to you, and we pride ourselves in providing the very best performers, feature acts and special artists. Music Solutions offers Irish and overseas companies open access to the very best Irish and international acts. We supply entertainment for corporate events, and talent of all kinds for videos, TV and radio ads, musical arrangements and more. Planning an event? Need entertainment?